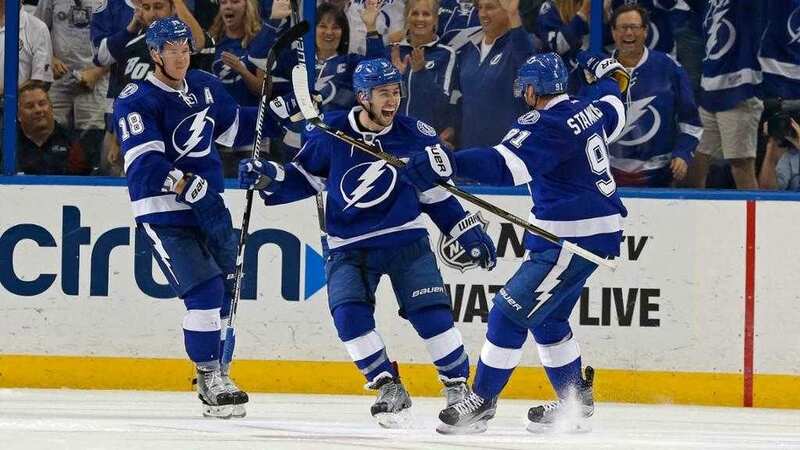 It was a record-setting season on the ice in Tampa that saw the Lightning tie an NHL single-season record with 62 wins and break a number of individual and team records along the way. Throughout the season, Tampa’s players and coaching staff have made it clear that while records are nice, if Tampa isn’t skating off the ice at the end of the postseason with a 127-year-old silver trophy in-tow, the team’s ultimate goal will be left unfulfilled. 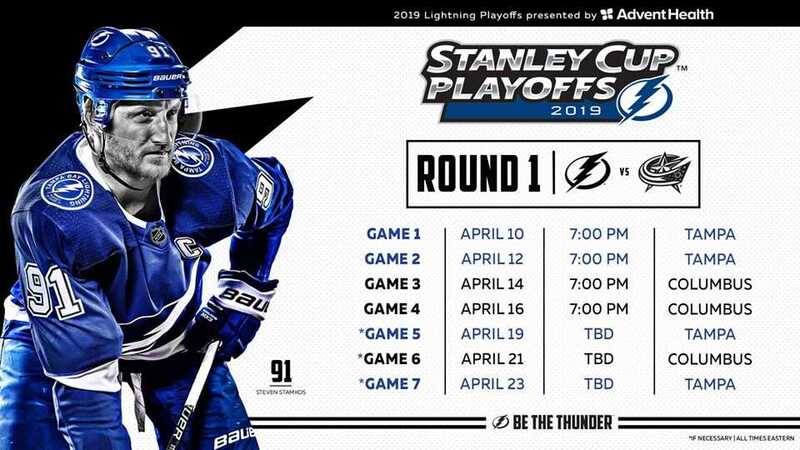 The Lightning won the Stanley Cup in 2004 and have been to the finals once (2015), and conference finals twice (2016, 2018) in the last three years, but haven’t been able to secure another championship. Nikita Kucherov: The likely MVP of the league, Kucherov won this year’s NHL scoring title and set a record for assists by a right winger. He finished the year with 128 points, scoring 41 goals and assisting on 87. Kucherov should come into the playoffs hungry after virtually disappearing in last year’s conference finals against the Capitals. Steven Stamkos: The Lightning captain has been rolling in the second half of the season and comes into the matchup with Columbus leading the team with 45 goals this season. He leads a Lightning power play unit that has been the most dangerous in the league in 2018-19. Brayden Point: A record-setting season for the third-year player saw him score 41 goals and dish out 51 assists. Point plays with speed and is often forgotten on a power play unit that features Kucherov and Stamkos. That has proven to be a mistake made by more than one team this year and it has paid off for Point in the form of a team-leading 20 power play goals. 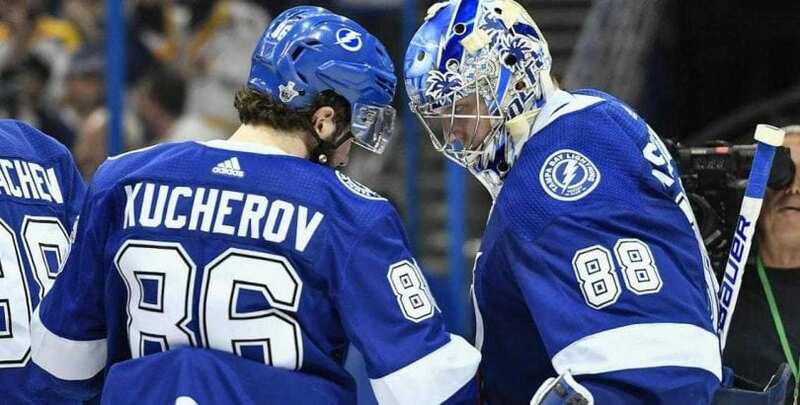 Andrei Vasilevskiy: With all of Tampa’s offensive prowess, Vasilevskiy could easily get overshadowed. Tampa likes to take risks in the offensive zone by pushing its defense up. Vasilevskiy is bound to see a number of fast-break opportunities by opponents, but his 2.40 goals against average and .925 save percentage say he is up to the task in net. Standing in the way of the Lightning winning its second Stanley Cup is the man who led the team to its first Stanley Cup: Columbus coach John Tortorella. Long gone are the days that Tortorella manned the bench for the Lightning, but no doubt he is looking to turn the tables on a Tampa franchise that he hasn’t beaten in two seasons. The Blue Jackets have made an appearance in the playoffs the last three seasons (including this year) but did not advance past the first round the previous two. Artemi Panarin: Perhaps his last run with the Blue Jackets, the pending free agent leads the team with 87 points, scoring 28 goals this season while collecting 59 assists. Cam Atkinson: The right winger finished with career highs in goals (41), assists (28) and points (69) this season. Sergei Bobrovsky: Columbus’ netminder is another player who could be making one final statement with the Blue Jackets as he looks to free agency in the offseason. Bobrovsky won 37 games in net this season, finished the year with nine shutouts and a .913 save percentage.